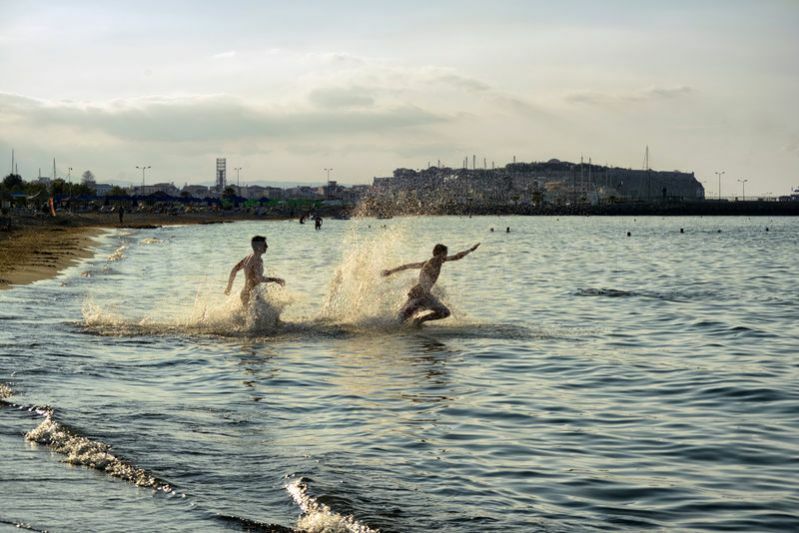 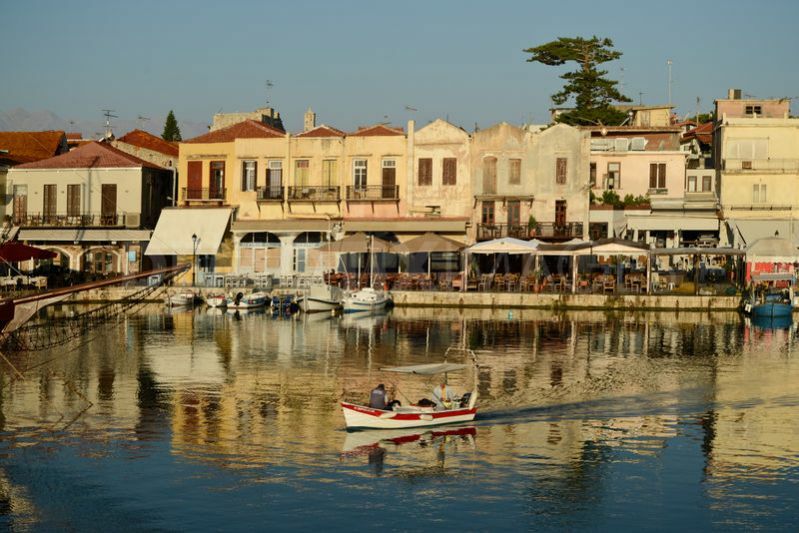 Temperatures peaked again at 30 Celsius, as holiday-makers and residents enjoyed the warm late summer weather in the seaside resort of Rethymno on the island of Crete. Swimmers on the beach of Rethymnon as they enjoy the late summer warm weather. 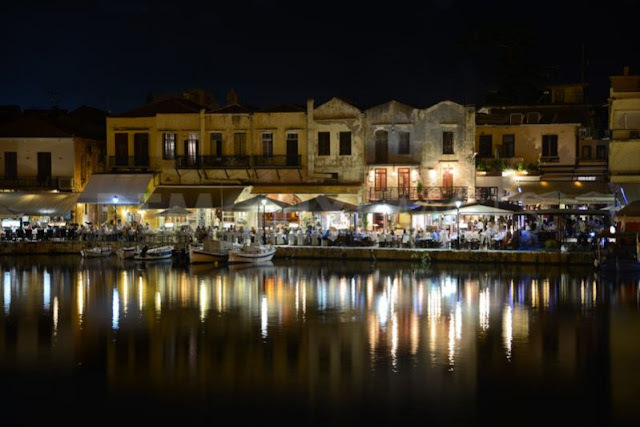 Picturesque Venetian harbour in Rethymno during night. The Venetian lighthouse of Rethymnon during night. 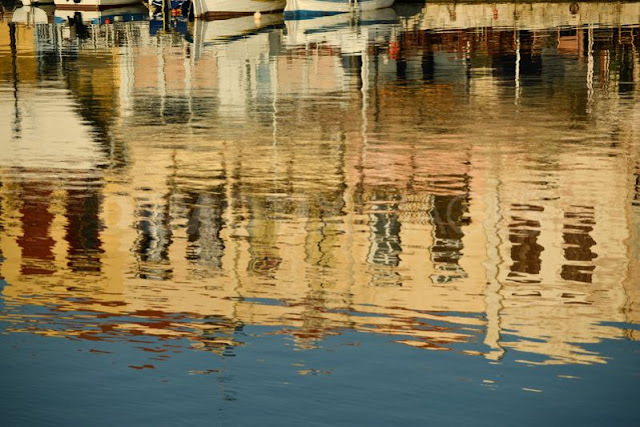 The reflection on the sea of the buildings of the Venetian harbour. Venetian harbour in Rethymno in the morning while the boat of the fishermen departure for fishing. 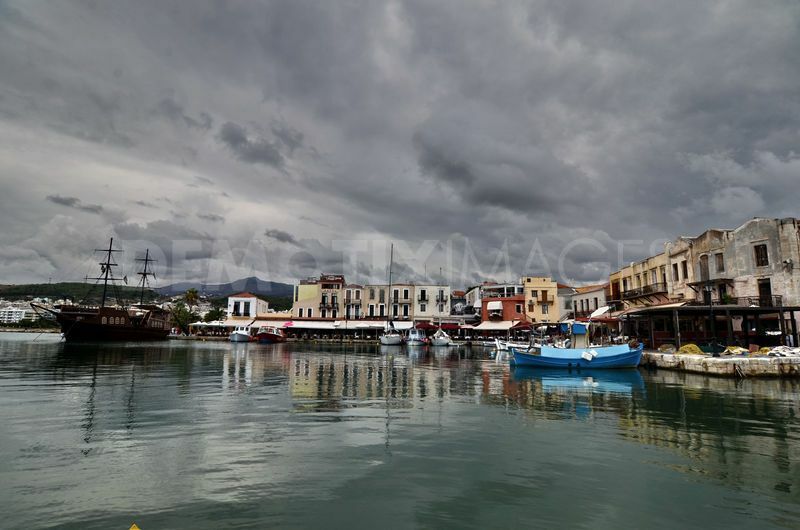 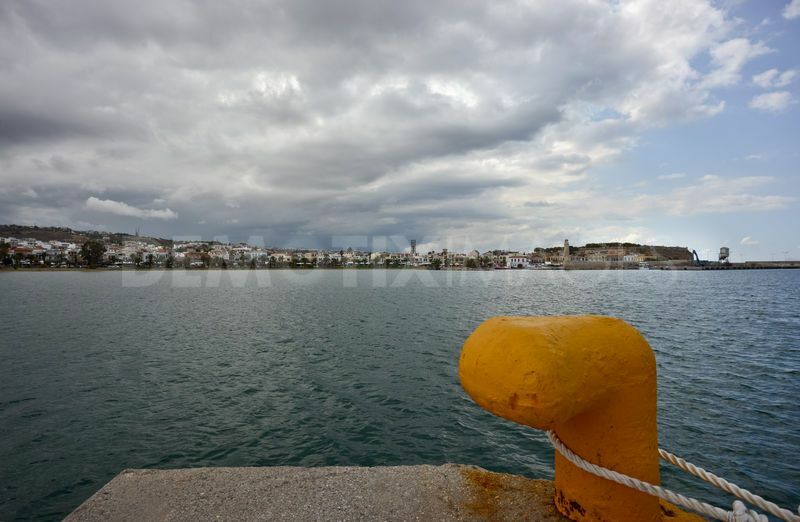 Rethymno city view in cloudy weather as of last Sunday until Tuesday noon. 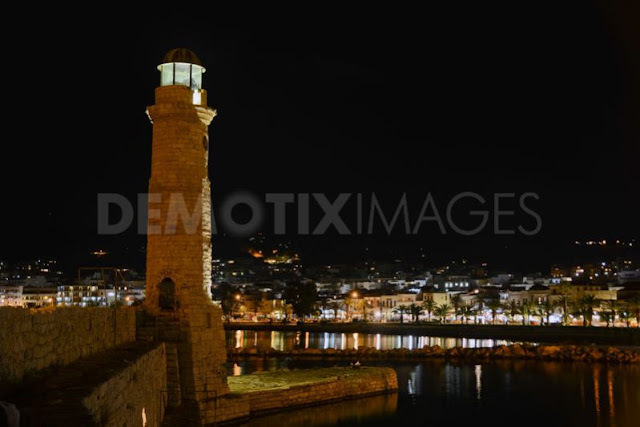 Landscape view of the Venetian harbour in Rethymno on the island of Crete. 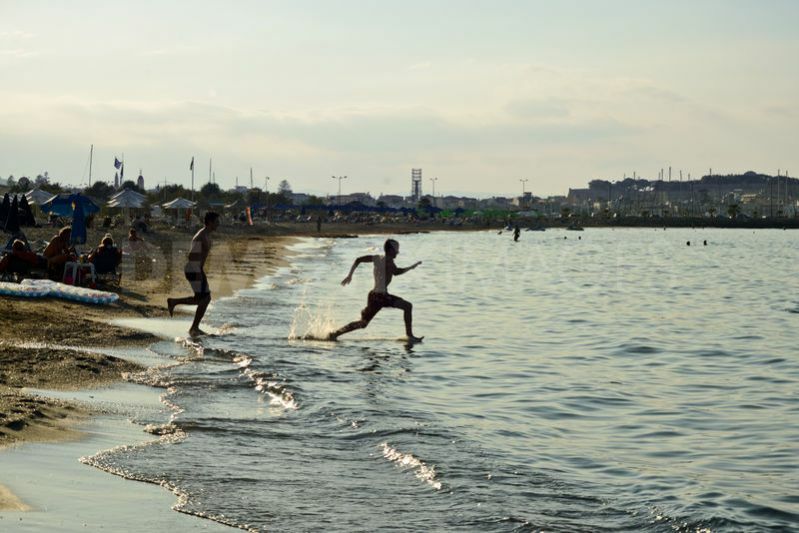 Swimmers on the beach of Rethymnon.